These were manufactured by us for the famous Rotosound RFB1 Limited Edition Fuzz Pedal. Our stock represents the manufacturing contingency over-run. To avoid rusting, these enclosures are coated with air-excluding oil, which must be removed before painting or cad/pas type finishing. They are supplied with 4 rubber feet. 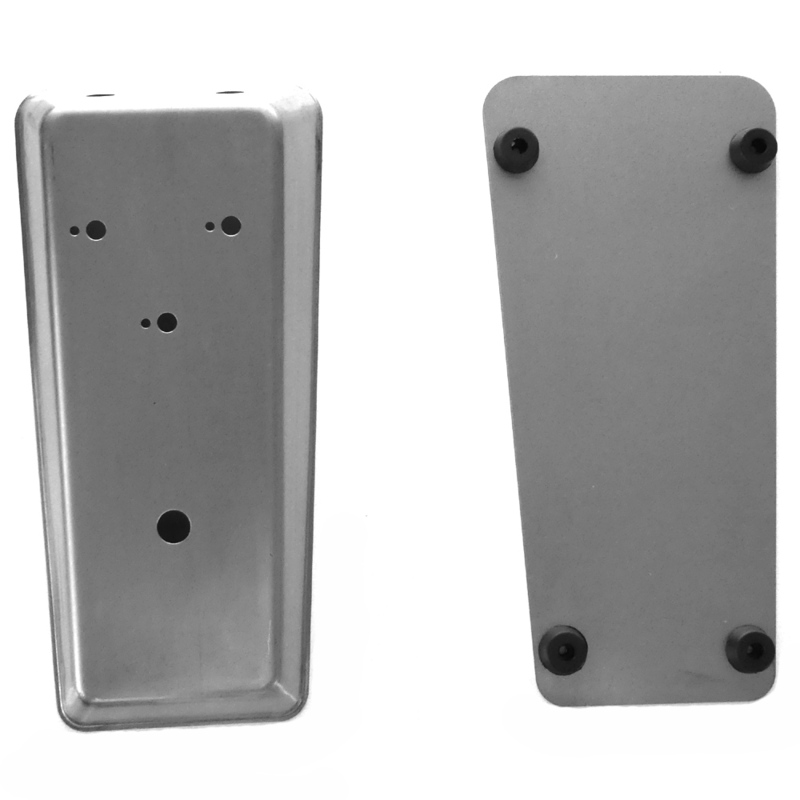 Please note that screws for the feet which also attach back of the enclosure are not included.